The $350.00 fee for class includes your printed copy of the workbook and digital copies of the videos that go along with class. In this foundation course, students will learn mat work and become competent using their legs, feet, knees and heels with clients, be introduced to Sen lines, anatomy, postural assessment, and energetic concerns. 2 days of Table Thai massage. 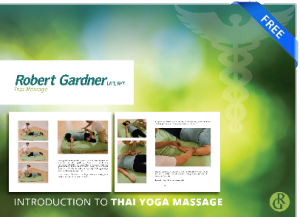 The $250.00 fee for class includes the printed copy of your workbook and digital downloads of your Table Thai videos.